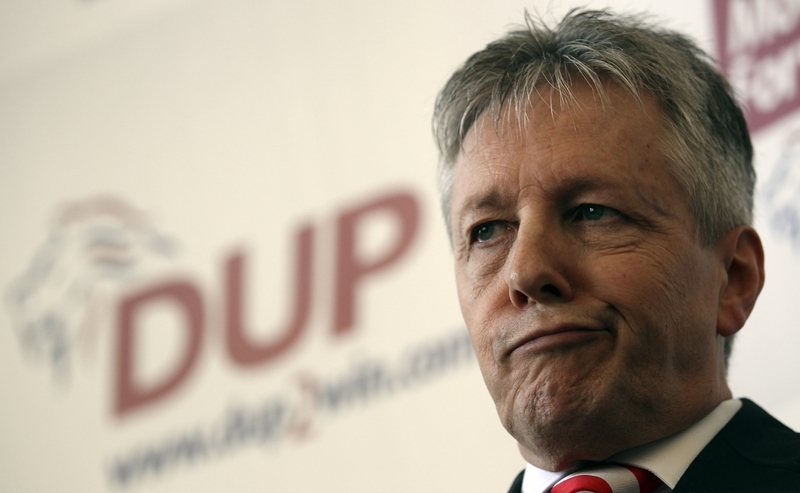 Peter Robinson’s Resignation: Are the Troubles truly over? On the 28th of May 1974, following five months of the proposed Sunningdale Experiment, Northern Ireland’s first Minister Brian Faulkner resigned his seat; collapsing the power sharing government and condemning Northern Ireland to twenty four years of direct rule from Westminster. Fast forward to September 2015 and amidst all the proclamations of the “peace process,” and the growing relations between both communities, First Minister Peter Robinson has resigned his seat due to the ongoing activities of dissident republicans. With the general assembly weltering and more allegations and feuds coming to the surface; can we honestly say that the dark and drab days of the Troubles are truly behind us? In 2015, the dark and violent days that spilled blood across Northern Ireland’s cobbled streets are supposed to be a bad memory. The Stormont General Assembly is fully operational; with both communities represented fairly, the once feared and dominating paramilitary organizations of the IRA and the UFV have been decommissioned and dissolved. At the grassroots of all the divisions; new schools catering for both Catholic and Protestants ; such as Enniskillen Integrated Primary School – are promising to build bridges for the future. On paper it is a new day for Northern Ireland and the peace process; something which would be welcomed both sides of the peace lines. However, when you stare through the looking glass and into the harsh realities facing the North today, what we get is a very different picture. On the 12th of August 2015, father of nine Kevin McGuigan was gunned down outside his home as a supposed revenge attack for the murder of IRA Commander Gerard “Jock” Davison in May 2015. 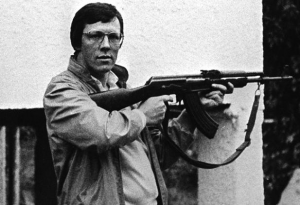 Almost immediately questions were raised in Stormont; are the IRA still active? Could there be active republican cells still plotting in Northern Ireland today? Sitting in Northern Ireland’s hotseat, Foster now has the imperious task of having to save the power sharing crisis, help get to the bottom of the supposed re-emergence of the IRA, help sort out the Welfare Reforms and set a budget out which will satisfy both community’s needs. The similarities to the 1974 Stormont collapse are rather striking. During the heart of the Troubles, economic growth, prosperity and employment in Northern Ireland were at an all-time low with 2% economic increases coming from government subsidies and record levels of unemployment. Today, unemployment remains relatively high at 6.1%, with parties locked on welfare reforms and payments, with Sinn Féin firmly against austerity cuts. Even in education which was once described as “benign form of apartheid which is fundamentally damaging to our society” by Peter Robinson, the divides remain evident with 93% of Northern Ireland’s children attending schools that are wholly or predominantly Catholic or Protestant. Unfortunately, violence is something which continues to plague Belfast and beyond. Whenever you are talking about parades or peaceful family dinners, images and thoughts of rioting and bloodshed are soon to follow. In July 2013, in response to the restrictions of parade routes for the annual July 12th parades, the Unionists communities took to the streets, clashing with riot squads and PSNI officers. Paramilitary violence is still very much alive and well, which was very much evident with the murders of Kevin McGuigan and Gerard “Jock” Davison. It may not be 1974 with the whole country in bed by nine, shrieking with fear that they could be next. 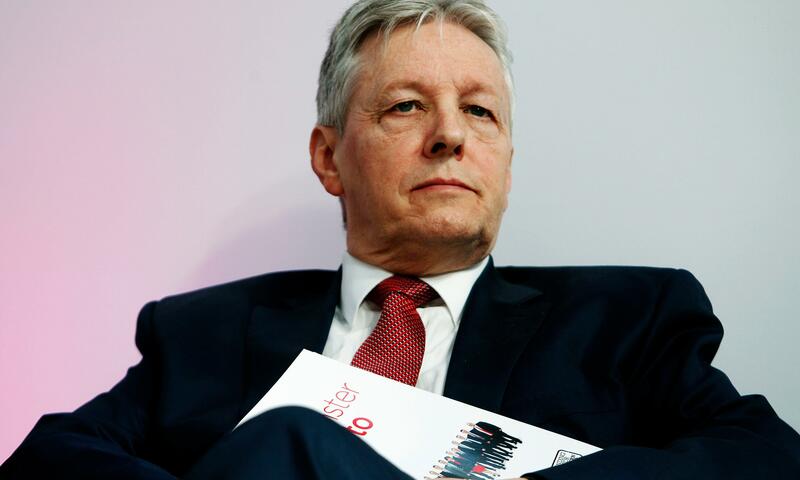 When you look at the facts and figures of 21st Century Northern Ireland and the resignation of Peter Robinson, the Troubles may be over, but what remains is a bad taste which evidently isn’t going to go away anytime soon. Ireland, Britain and the EU: A Marriage or Divorce of Convenience?